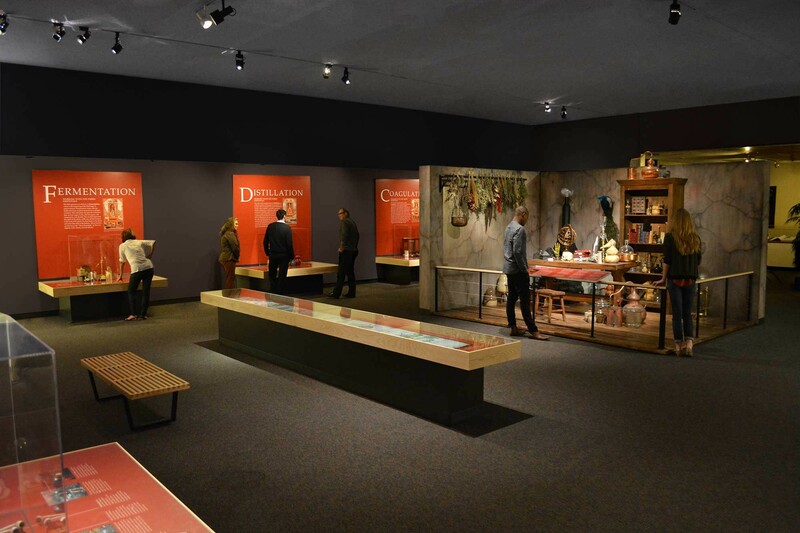 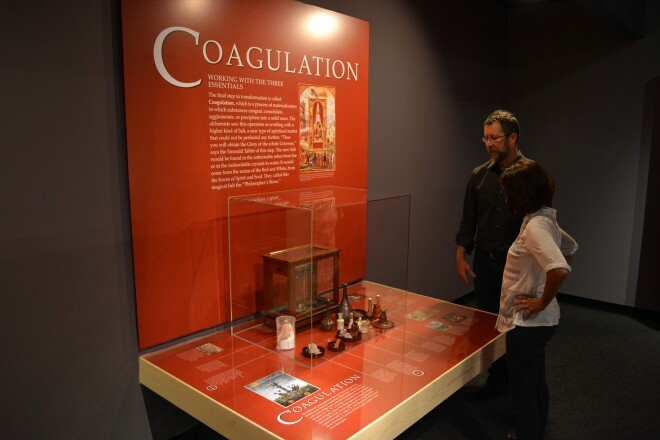 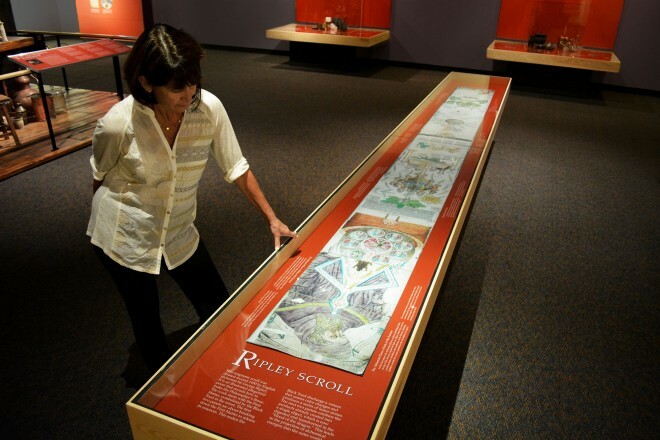 This alchemy gallery is nestled within the Rosicrucian Egyptian Museum, which exhibits the largest collection of Egyptian artifacts in the western United States. 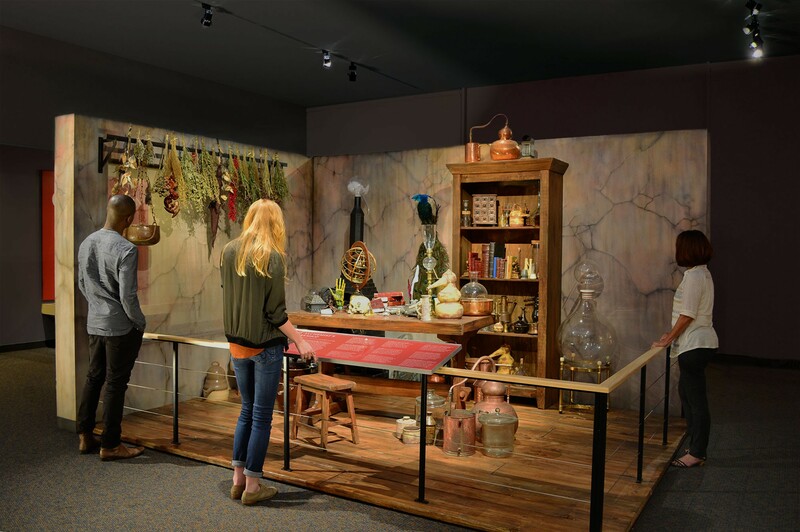 Here visitors journey back to Alexandrian Egypt to learn the methods and mysteries of alchemy, a medieval science rooted in the transformation of metals. 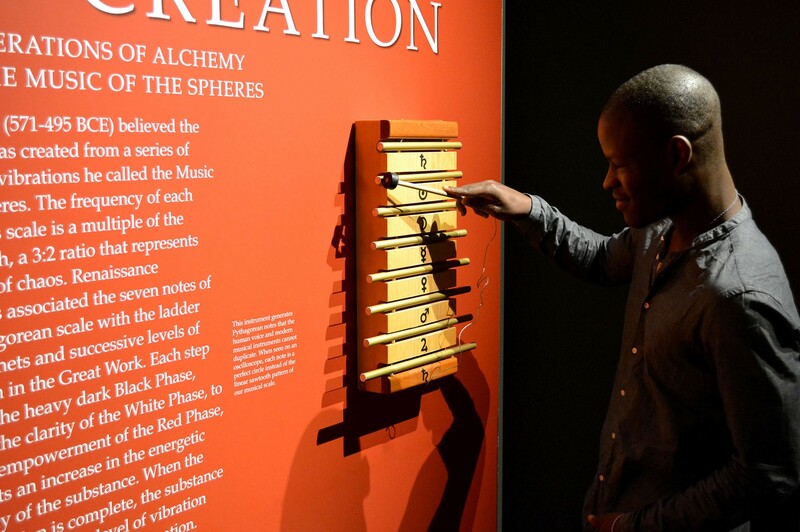 In the Rosicrucian tradition, alchemy is considered one of several esoteric truths that make up the wisdom of the Universe. 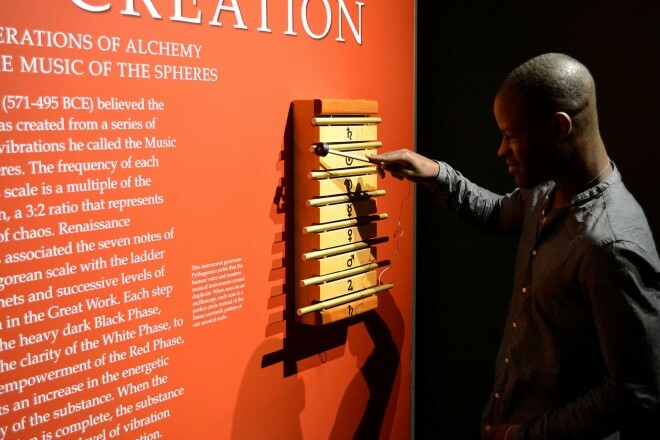 The exhibition features an alchemist’s workshop, full of unusual tools and specimens, a copy of the Ripley Scroll, and stations that explain the eight stages of alchemical transformation.